I'm interested in the time, place and manner in which some historically important computers were introduced to the world. For example, the Macintosh was presented in January 1984 by Steve Jobs, first at the Apple shareholder meeting, then at a meeting of the Boston Computer Society. 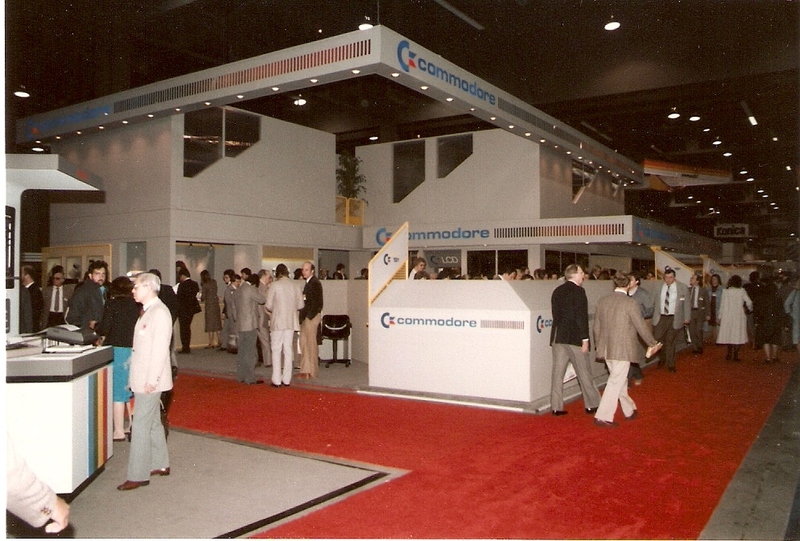 Commodore introduced some important products at conventions: PET at West Coast Computer Faire 1977, CBM 8032 at NCC 1980, C64 at CES 1982. What was the format of these? Was it just 'walk up to the booth and take a look, and an employee will run through some of the features for you' or was there anything more elaborate, along the lines of the Macintosh introduction? The Amiga was presented July 23, 1985, at the Lincoln Center, New York. Did they organize an event just for that, so that they could stage a more elaborate show than they could at a convention? How did that compare with the debut of the Amiga's main rival, the Atari ST, at the Winter CES in January of 1985? Was that a 'walk up to the booth and take a look' affair, less elaborate than the Amiga? Edit: Okay, that's two people perceiving the question as vague, so I'll make it more specific. The Amiga apparently was introduced at its own special event, whereas the Atari ST was introduced at a convention, the Winter CES. Is it the case that the introduction of the Atari ST was therefore just a 'walk up to the booth and take a look' affair, whereas the Amiga could get a more elaborate stage presentation of the kind Steve Jobs liked to arrange, and this is why Commodore spent the extra money and risked the extra political capital on the special event? Why do companies sometimes choose separate events over trade shows? 'Boothes' on a trade show may be quite large. Sometimes companies fill whole convention halls with their single 'booth'. They are quite often way larger than any separate venue of the same company would be, as they transport communication over a longer duration as a single show and to a wider direct audience. In addition, trade shows offer stage rooms/halls. This is where companies do such presentation events. Ofc, the machine will be also shown at the booth, regardless of size, after all, that's what a trade show is about. The stage events do the 'official' introduction. Such a stage show may be 'just a press conference' or again outclass any separate event in size as well as in style. So doing an introduction within a trade show or separately is a marketing decision, and doesn't tell anything about the way it was done. It's all about how a marketing director sees the bigger chance to reach the target audience. Go with the convenience of a trade show and have a guaranteed crowd and a coverage among all trade publications and maybe beyond if show (and product) seems important enough for mainstream media (good PR preparation may help). While Atari did go with a small presentation at Winter CES and a surprise introduction at Comdex, as they did not have any money to go beyond attending at all, hoping that the usual trade media would do the bidding, (New) Commodore did decide to go with a separate event targeted at main stream media and using showbiz glamour to attract them. Not the answer you're looking for? Browse other questions tagged history atari commodore or ask your own question. How can I interface with an old Atari from a modern computer?